The Bush Baby Stealth Hi-Def RadarDetector Spy Camera/DVR is the perfect way to keep an eye on your car when you're not around. 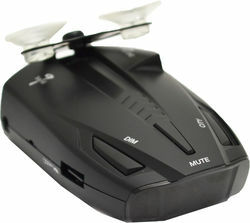 This camera disguised as a normal radar detector is pointed inside your car to catch anything from vandals to valets and cleaners. The dash mounted design gives you the perfect vantage point. 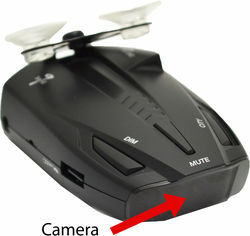 It has full color 1920x1080 quality video and full motion detection with external storage via microSD cards. 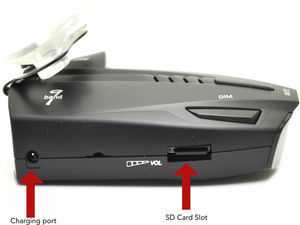 Charge with the USB cord or the included car adapter. 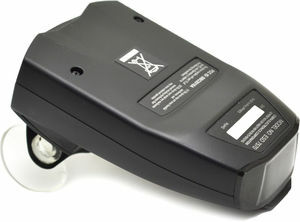 Use the standard BushBaby remote control to turn on continuous recording, motion detection recording, or snap a photo. Unlike Products You Buy On Amazon, This Product Offers You a Lifetime Warranty & FREE Tech Support if Needed.